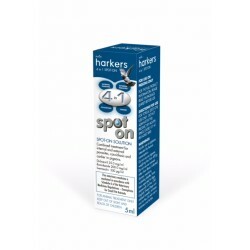 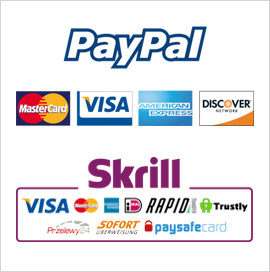 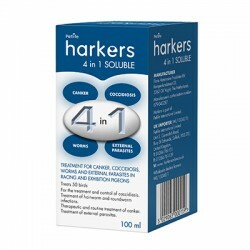 HARKERS - 3 in 1 Tablets "50 Tabs"
HARKERS - 4 in 1 Spot On "5ml"
HARKERS - 4 in 1 Tablets "25 Tabs"
HARKERS - 4 in 1 Soluble "100ml"
HARKERS - Adenocaps "100 Caps"
HARKERS - Coxi Tablets "50 Tabs"
Harkers – Coxoid – Treats Coccidiosis caused by internal parasites in birds. 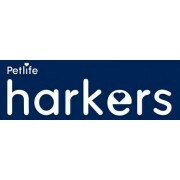 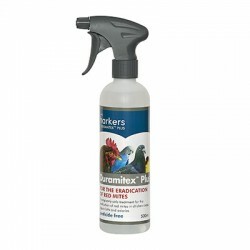 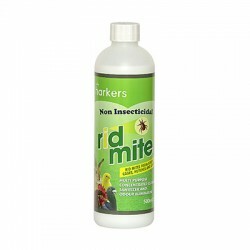 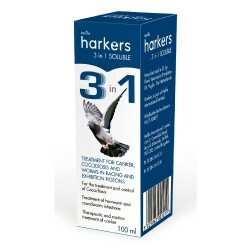 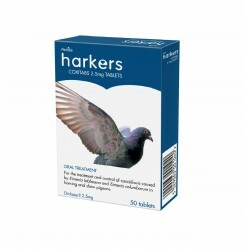 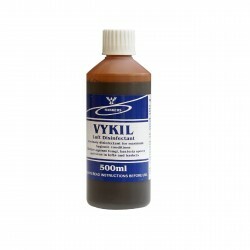 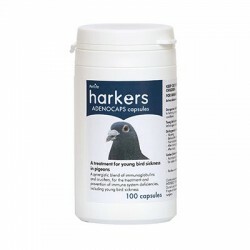 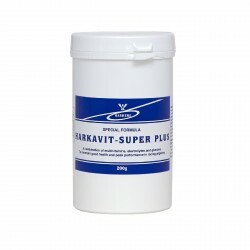 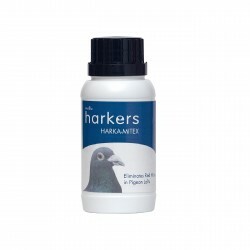 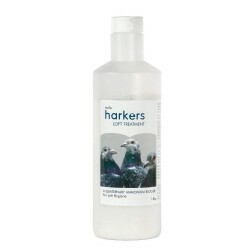 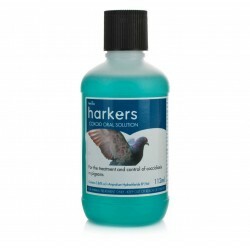 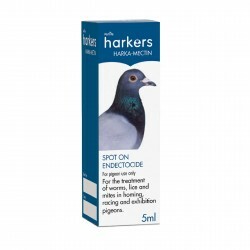 HARKERS - Duramitex Plus Spray "500ml"
HARKERS - Harka Dip "100ml"
Harkers – Harka-Dip is a general purpose pigeon dip to promote good plumage hygiene and to treat and prevent infection from ectoparasites – lice, flies and mites. 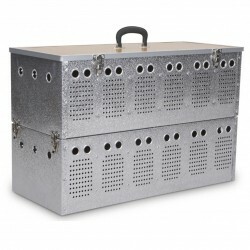 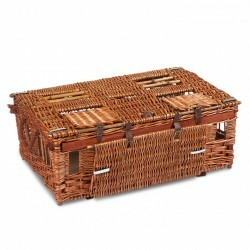 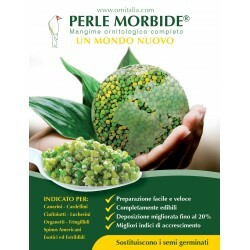 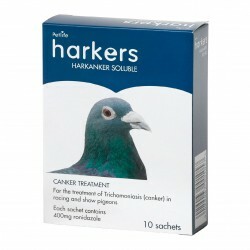 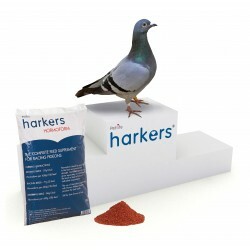 HARKERS - Loft Treatment "10kg"
Harkers – New Wonder Pigeon GP (Green Power) builds super muscles for the racing period! 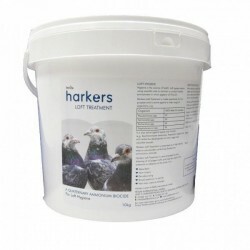 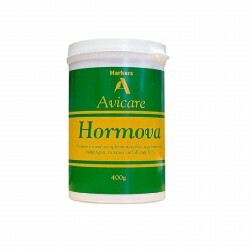 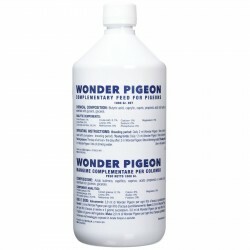 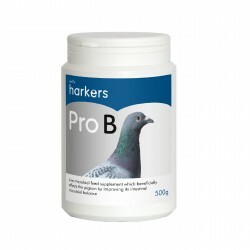 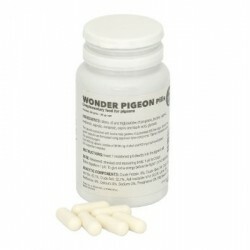 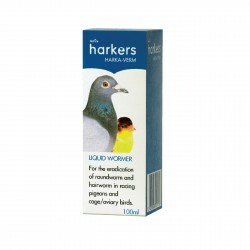 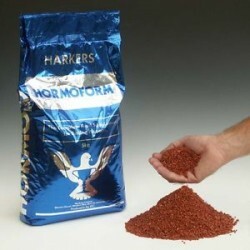 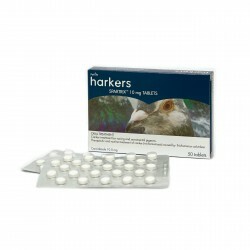 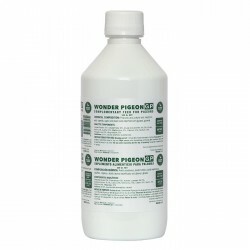 Harkers – Wonder Pigeon is a dietary supplement produced specifically for racing pigeons, to be added either to the drinking water, or to the feed.